When it comes to sports gear, football jerseys are some of the easiest jerseys to wear. Baseball jerseys require fiddling. Sleeveless basketball jerseys may leave some uncomfortable. Hockey jerseys have long sleeves, not the most ideal piece of gear to wear year-round in most places. Cut similar to a T-shirt, football jerseys are simple At least at first glance. Modern technology is prevalent in the latest jerseys that are meant to see game use. For those football fans looking to display their team allegiance proudly, other more basic (and affordable) jerseys are out there as well. But with so many options, what's the best football jersey to buy? Why are some jerseys cheap while others sell for hundreds? How do you tell the real thing from a knock-off? Our guide below outlines all you need to know when it comes to picking the right NFL jersey. Nike, the official manufacturer of NFL jerseys since 2012 has several different lines. The ones worn during games are called Elite. Made with performance in mind, they are made to fit well and allow easy movement. 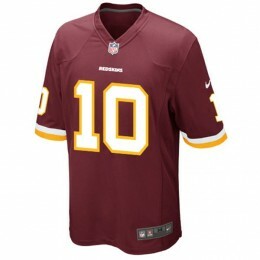 Authentic Nike Elite NFL jerseys are made mostly of nylon with a bit of spandex mixed in. The result is water repellent, which comes in handy during an intense practice or while watching a big game while standing in the rain. There is also a difference between the body and the mesh. Flywire around the collar helps prevent stretching. 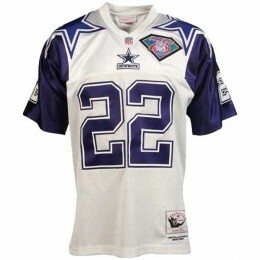 Elite NFL jerseys are meant to stretch in many areas to provide a perfect fit without losing shape. Numbers are sewn onto the jersey. They're twill and very flexible. The Nike logo is done with applique. Nike Elite NFL jerseys generally cost $200 or more. 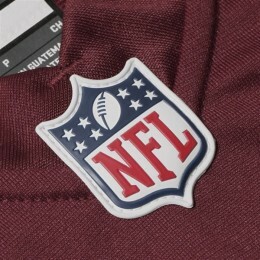 Limited NFL jerseys are made entirely of polyester. They have a tailored-fit design, but don't stretch the same way Elite jerseys do. Rather than the numbered sizing found on Elite jerseys, Nike Limited NFL jerseys go for a more traditional chart, such as medium, large and extra-large. 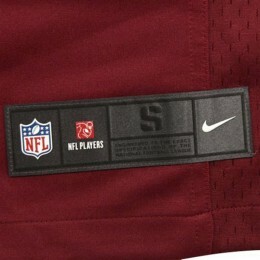 These can be spotted on the tag found on the front-bottom of the jersey. 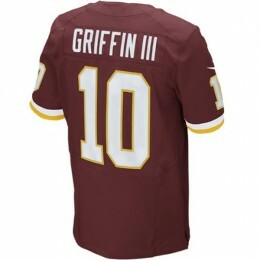 Nike Game NFL jerseys are the ones most commonly found in stores. Made of polyester, they use screen-print letters and numbers. The Nike and NFL logos are also screen-printed. 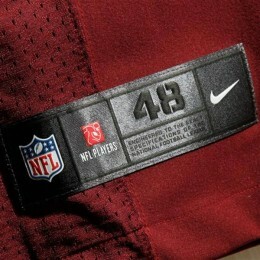 This also sets them apart from the embroidered lettering found on Nike NFL Limited jerseys. The overall quality isn't there versus more expensive jerseys. However, they're perfectly fine for tailgating and everyday wear. 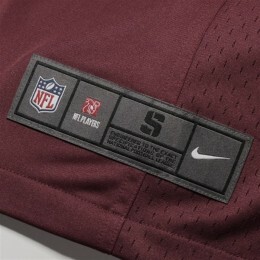 Pro Line jerseys are very similar to Nike Game NFL jerseys save for one major difference -- they're not made by Nike. As a result, they don't have any Nike trademarks or logos. 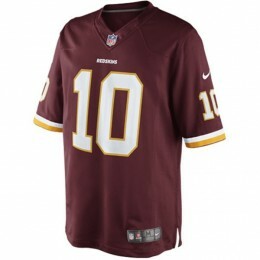 The polyester jerseys are only intended for sale on the NFL shop. 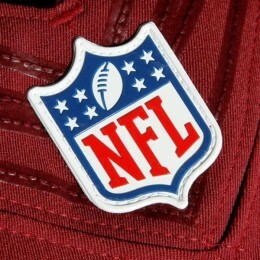 Despite not being made by Nike, they are fully licensed by the NFL. Numbers, logos and letters are all printed directly on the jerseys. Pro Line jerseys run around $100. Football jerseys have changed over the years. It wouldn't make a lot of sense to get a Joe Montana Nike Elite jersey. Enter the Throwback jersey. Designed to replicate past designs, they're a great way to remember retired legends and all-time NFL greats. 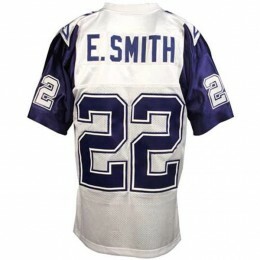 Made by Reebok and Mitchell & Ness, these replica jerseys come with numbers, names and logos. Some come with commemorative patches as well. The jock tag on the front clearly identifies Throwback jerseys. Much like Rolex watches and any other piece of high-end fashion, there are plenty of fake NFL jerseys floating around. The easiest way to spot one is the price. If someone's offering an NFL Elite jersey for $100, proceed with caution. If the player was recently traded, that might explain the discount. But if that's not the case, chances are it's a matter of "too good to be true." It's always easiest to spot fake NFL jerseys when you have a real one to compare it to. However, there are some tell-tale signs. First is the overall quality. If it seems off, it might be a fake. 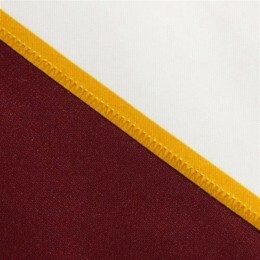 Authentic jerseys are made with high-quality materials. If threads are loose, that's not the same level of detail. 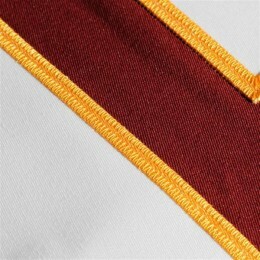 Authentic Elite jerseys have a single seam on the bottom inside. A lot of knock-off jerseys have a pair of seams. Lettering on the back of the jersey can be another sign. Fake jerseys can use different letters than those used on the real thing. It might be close, but when you're spending a lot of money on a football jersey, you're paying for the details. 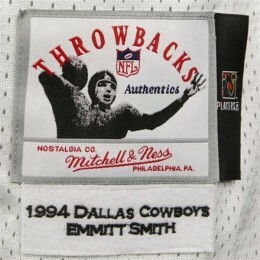 The jock tag on fake jerseys is often higher up. Real jerseys have the tag placed very low. 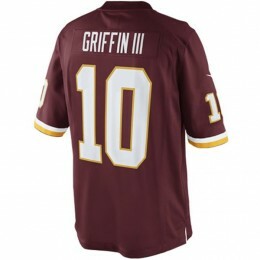 It's also very stiff on real Elite jerseys. If the jock tag bends easily, it may be a sign that the jersey isn't real. 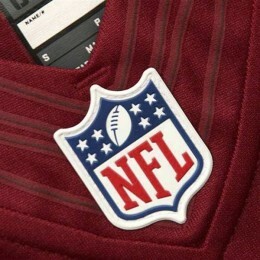 The NFL shield on the front of an Nike Elite NFL jersey is done with applique. It looks plastic and is definitely not embroidered. If you see a jersey that has an embroidered shield, be cautious. Here's a guide that compares a real Nike Elite Peyton Manning jersey to a knockoff. If you're shopping for football jerseys online, there are a couple of ways you can protect yourself. First, only shop with sellers who stand by their product. If they don't offer a guarantee, find a seller who does. Also, if a listing uses only tight shots of a jersey, it might be best to avoid it. It's in the close-up details that separate a fake from the real thing. If all the images are cropped, there's a possibility the seller might be trying to hide something. The fact is, fake football jerseys look very close to the real thing and often cost a lot less. If you're looking for something to wear around the house and are okay with the NFL and players not getting money from the sale, it might be perfectly acceptable to you. It's important, though, not to get duped. Victor Cruz Nike Men's New York Giants Blue Jersey $110 - SZ 4XL READ! Looking for a jersey from your favorite team? Click on the links below to browse team jerseys on eBay. Did Reebok ever produce throwbacks? Or is it the legends series that is fake? Also M&N just started producing embroidered numbers/lettering on their Jerseys. Before the new model they made Jerseys to the exact specifications of the jersey wore by the player which in most cases was a thick screen print. A lot of people think that a jersey has to have stitched on numbers to be the real deal or a higher end jersey but that’s simply not the case. The majority of teams used screen print up until the mid 90’s. 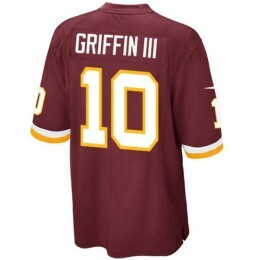 I have a jersey for sell redskins number 36 tayler…. After being charged so much at nfl stadiums for ticket and food prices the knock off jerseys are the only one a regular every day fan can afford. Being concerned about how much more the players and nfl makes and using that to demean someone from buying a knockoff is terrible. 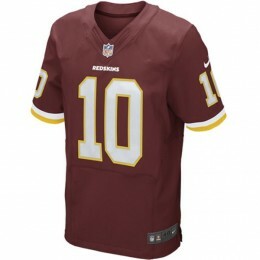 Are all the jerseys sold on nfl shop legit. They sell elites, pro shop, and Mitchell and Ness. Wow!! The NFL jerseys are very nice and colorful.